I am doing my usual end-of-the-year look back and planning ahead to the next year. 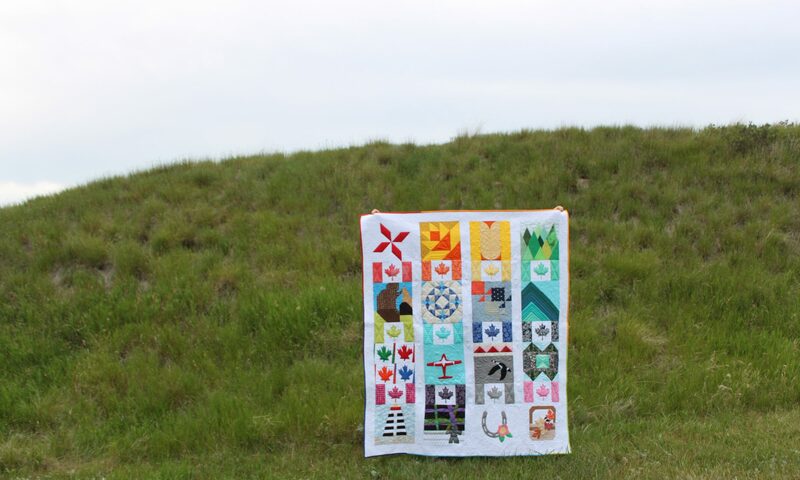 2018 was a bit of a strain but it was also our best year yet for Daydreams of Quilts and we learned a lot. We almost gave up when we were being hit by so many things that were out of our control but at the encouragement of customers, friends and family we have stepped back and taken a look at things and are making some changes which we hope will be good for our customers and for our family business. Just before Christmas Craftsy (or Blueprint as I guess it’s now known) sent out an email to designers informing them that some pattern shops would be closed and some would be allowed to stay but not all of the patterns would remain in the chosen designers’ shops. In my email I was told I had been chosen to stay. However, when I checked my Craftsy shop today only one pattern remains. (The Pixel Heart in a Pixel Heart pattern.) So I will be closing my Craftsy shop and all PDF patterns can still be found in my Etsy shop. I did have a Shopify site for a couple of years but at $60 CDN a month any funds that came in from pattern sales were being eaten up by the monthly fee to have the website so I closed that site in October. We may revisit having an e-commerce site later in the year. We will be offering some custom listings this year as well as some designs we plan to carry throughout the year (rather than one-of-a-kind). We hope our customers will like them. We have a few new pattern designs in the work as well. Thank you for standing by our side and supporting myself and all the other pattern designers out there as we transition through these changes. Change can be stressful but it can also be a transforming force for better things to come. I am working on new product lines and ideas this week which I hope to have ready to show soon. This is interesting, as up til now the other people I saw talking about the Craftsy thing only had their free patterns kept, me being one of them, this is the first paid-for pattern I’ve seen them keep! I can recommend Payhip to host your patterns, it’s free to set up and you just link it off your blog. They take a percentage of the sales but it’s not too bad. Thank you Kerry. 🙂 They didn’t keep any of my free ones which was weird because some of them had hundreds of downloads. It’s okay though, I was thinking of shutting down my Craftsy shop for a couple of years but didn’t because I knew some people preferred to buy their patterns there. I had a Payhip shop but I closed it because I never sold anything there. Previous PostPrevious Two Weeks Left to Shop our Clearance Sale and What’s next? Next PostNext What’s New So Far for 2019?